Start a family nature journal. Use this to reflect on your time spent together in nature. Ask your child about their favorite part of a walk through the park, garden, or zoo. Plot your next adventure. Bring it with you and record or sketch what you see. There’s no right or wrong way to journal, but the more you use it, the more you and your family will remember later. Any notebook will do, but if you’d like one already stocked with ideas, try this one. Have a set of tools to assist your child in exploring nature. Fill a canvas bag or backpack with magnifying glasses, binoculars (or two cardboard tubes taped together…while this obviously won’t magnify, it will help your child focus on what they see), shovels, rakes, a net for catching insects, bubbles, and/or anything else you like to bring outside. Keep it by the door and when you’re heading outside, everything is already ready to go. Go on a nature scavenger hunt. Before heading outside, make a list together of characteristics you hope to find in natural objects: something green, something round, something soft, something pointy, etc. Create a mini nature museum. Bring those objects home and display your natural treasures in a dedicated space to showcase your pinecones, rocks, leaves, and seeds. Encourage your child to sort their objects by size, shape, color, or texture. Or, glue them to a sheet of paper to make a nature collage. Explore the seeds inside fruits and vegetables. Before cutting into a cantaloupe, apple, pumpkin, or kiwi, ask your child to predict what the seeds will look like. What color? How big? What shape? Allow your child to feel the inside textures of the produce. It is mushy? Firm? And of course, taste the goods! Produce exploration can be a truly multisensory experience. Gaze at the clouds. Watch the clouds change as they move and make up stories about what you see. Grow a butterfly garden. 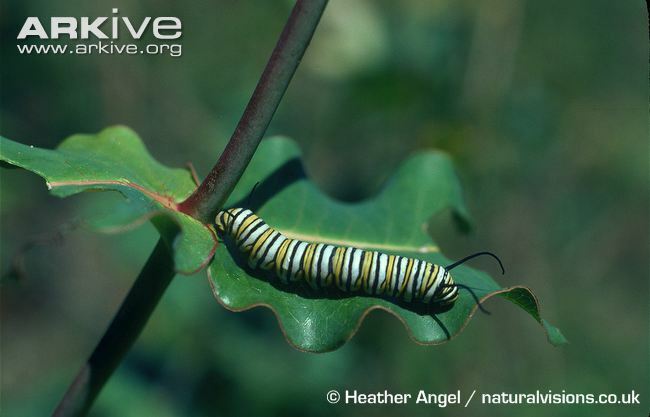 If you have outdoor space at your home, plant milkweed to attract monarch caterpillars. That’s all they eat! 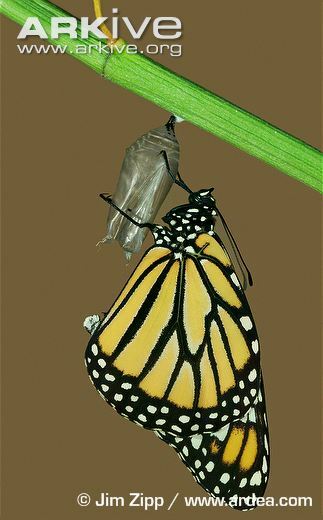 If you’re lucky, a caterpillar will form its hanging chrysalis just outside your window and you and your little one can watch it emerge as a beautiful monarch butterfly. For more information on starting a butterfly garden, see this resource from the National Wildlife Federation. Lay out a discovery board. If you have your own yard, lay out a piece of scrap plywood outside. After a few days, lift it up and see what critters have moved in. You’ll likely find pillbugs, ants, and other creepy crawlers. Bring your magnifying glass to investigate your findings up close. Watch a tree. Pick a tree near your home to visit once a week or once a month. Bring your journal and record how many branches it has, what the leaves look like, how the bark looks and feels. Do you see any bird or squirrel nests in the branches? Are there any bugs on the bark? Are there any notches, possibly made by a woodpecker? When you return, notice the changes over time. Peak into a birdhouse. What do you see inside? A nest? Eggs? Or, make a birdhouse to hang outside your home. What kinds of birds do you see going inside? What do the birds bring inside with them? We hope you and your LEAPer try out some of these ideas, especially when Chicago starts to thaw for spring. What are some of your family’s favorite outdoor activities? Chawla, Louise. (1999) “Life paths into effective environmental action.” The Journal of Environmental Education.